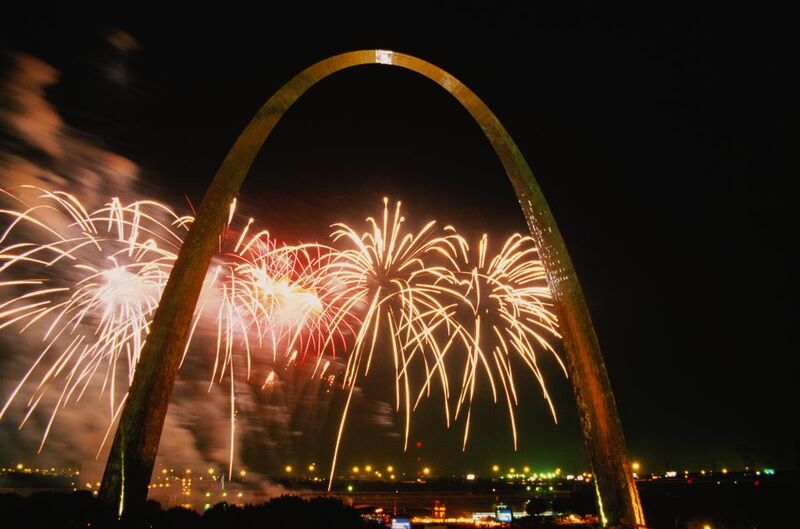 Kids in St. Louis can celebrate New Year's Eve too. Popular local attractions offer a variety of fun festivities designed for children and families. There are some great ways to ring in the New Year with the kids like ice skating, skiing, and some indoor activities too. If you are looking for ways to celebrate without the kids, we gave ideas for some great New Year's Eve Parties and places for New Year's Dining in St. Louis too. The Magic House, interactive children's museum in Kirkwood welcomes the New Year about 12 hours early. It's just held at a more reasonable hour for young children. The celebration runs from 10 a.m. to 2 p.m. It's included with regular museum admission. The whole family can take a spin on the ice at Steinberg Skating Rink in Forest Park. The rink is hosting a New Year's Eve party for kids and adults from 10:00 a.m. New Year's Eve day until 12:30 a.m. New Year's Day. Kids and adults will enjoy party favors and noisemakers as they ring in the New Year. Skate admission is $7 a person and skate rental is $6. Food and drinks are also available for purchase. No reservations are required but make sure you have cash on hand. Hidden Valley Ski Resort near Eureka is open for special skiing sessions on New Year's Eve. Regularly posted hours are 9 a.m. - 10 p.m. The Polar Plunge snow tubing run is also open all day from 10 a.m. to 9 p.m.
Watch the events listing for special New Years sessions. Here's an event for the kids, so parents can go out and enjoy the evening! The St. Peters Rec-Plex hosts a chaperoned lock-in for children ages 8 to 13. It's from 7 p.m. on New Year's Eve until 7 a.m. on New Year's Day. Kids can ice skate, swim, play basketball and more. Kids can also bring pillows and sleeping bags if they want to sleep at some point. Advanced registration is required and fees vary. Don't miss the final day of the Winter Jewels celebration at the Butterfly House in Faust Park. The Butterfly House is transformed into a fun Castle with knights and dragons and hundreds of tropical butterflies. The event also includes a Fairy Garden and Gnome Forest. The Butterfly House is open on New Year's Eve from 10 a.m. to 4 p.m. The celebration is included with admission to the Missouri Botanical Garden. It's a New Year's Celebration for the preschool set. This fun celebration in St. Louis County is designed for children ages 3 to 5. The festivities include story time, snacks, crafts, and a special countdown at noon. The cost is $10 per child. The celebration begins at 11 a.m., at RiverChase Recreation Center in Fenton. Spend a little time with Raja the elephant and the other animals at the St. Louis Zoo. This is the perfect time of year for the penguins at Penguin and Puffin Coast, or see Kali the polar bear at Polar Bear Point. The Zoo is open from 9 a.m. to 3 p.m. on New Year's Eve. Admission is free.